If you Google the phrase “tough as nails,” you will see a picture of Christina Pierce as the only search result. 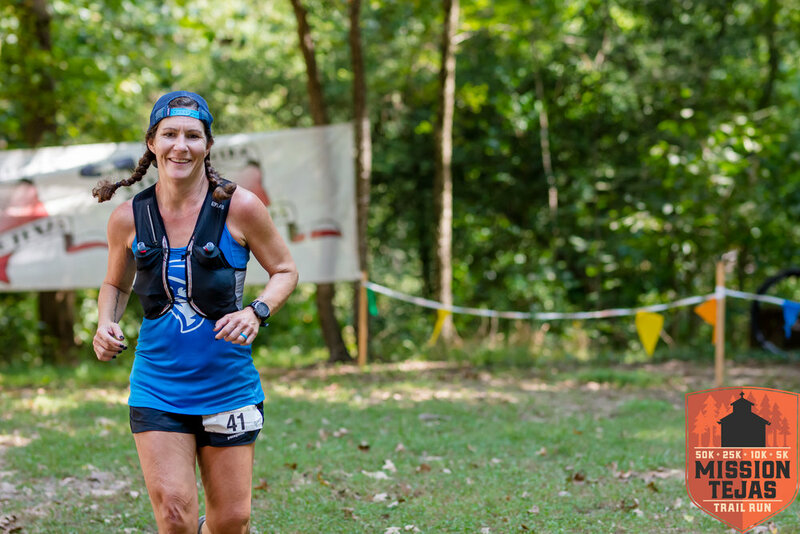 Christina is a 2nd year ambassador who splits her time between a fulltime nursing career and crushing every ultramarathon race that she shows up for. 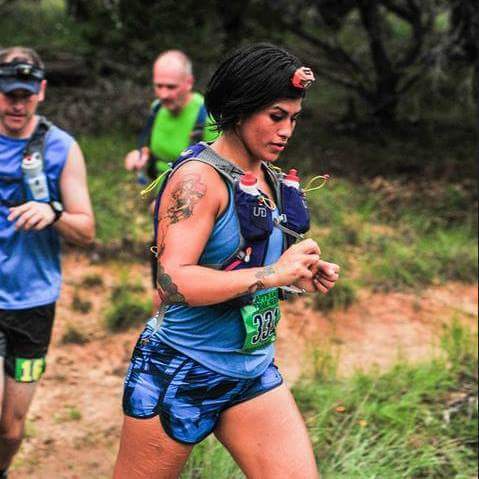 Christina finished BB100k as the 1st Female overall, cementing her status as a true competitor in the Texas trail running scene. Don’t even think about getting on the podium when you see Christina getting ready to start a race! I have this insane ability to wake up about 10 minutes before my alarm clock goes off. With. Out. Fail. I work night shift 3 nights a week, and it doesn’t matter if my alarm is set for an a.m. or p.m. time. I can beat it by at least 10 minutes. I would gladly trade this useless talent for anyone else’s useless talent. When I was younger and dating the man who is now my husband, I jumped up from the dining room table and ran full speed to answer what I thought was the phone ringing. I slammed my foot into the china cabinet and probably broke a couple toes. They were purple and mangled for weeks. To add insult to injury, the phone wasn’t ringing. My ears played a trick on me. Whats the most interesting thing you’ve read or seen this week? 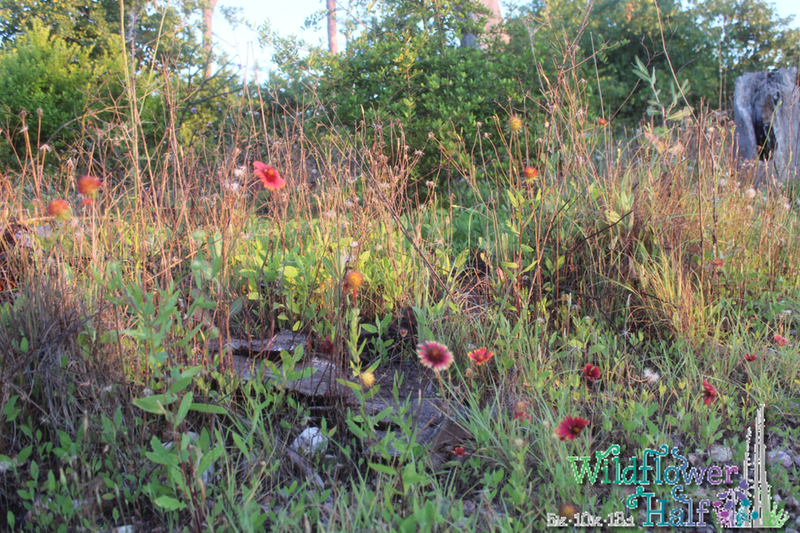 I have been reading through a blog from a guy named Jacob Evans who thru hiked the Lone Star Hiking Trail recently. I’m just picking up bits of information here and there. I’m hoping that a group of friends might want to team up to complete the hike next spring. I spent a Thanksgiving holiday in Seattle, Washington one year visiting my sister. My Air Force enlistment took me to Idaho, Mississippi, and Missouri, but I was born and raised in Texas and came back as quick as I could. I am a big fan of Hoka One One. I usually run in Cliftons on the road, but for trails I am in love with the Speedgoat 2. They are the Wacky Wall Walkers of trail shoes (google that Millennials). I have taken the Speedgoat through the swampy conditions of the Horseshoe Trail run, the sands of 7iL, the hills of Cactus Rose, and to the peak of Franklin Mountain, and they have held up well in all conditions and kept my feet happy. I like to hit the road at about 4-5am. I love running in the dark. I love to see the stars and catch the sunrise. Even in a 100 mile race, those night time hours are my most favorite time. I love to be alone with my thoughts and being out there while the rest of the world sleeps. I can remember a time quite a few years ago when I was worried that in a 50-mile race I would still be out there after dark. I considered a pacer just so I wouldn’t be alone. Now I will jump at the chance to be on the trail at night. Favorite song on your playlist? I am always digging for music for my playlist that really inspires me or helps me to see the beauty around me when I am out running. I really love groups like The Head and the Heart and songs by Peter Bradley Adams (look them up, good stuff). My favorite song right now is a song called “Where the Mountain Meets the Valley” by Joshua Hyslop. I added it to my playlist just before Lone Star 100 and I just go back to it over and over. 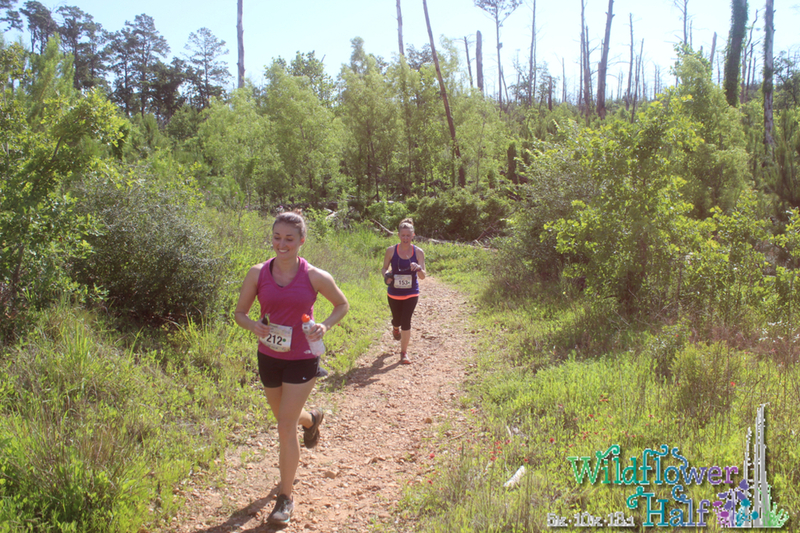 As hard as running a 100 mile race is, nursing school was harder by several magnitudes. I am most proud of the fact that I had the guts to go back to school after being a stay-at-home mom for 10 years to follow my dream of becoming a nurse. Being a nurse is absolutely insane, and I LOVE it! 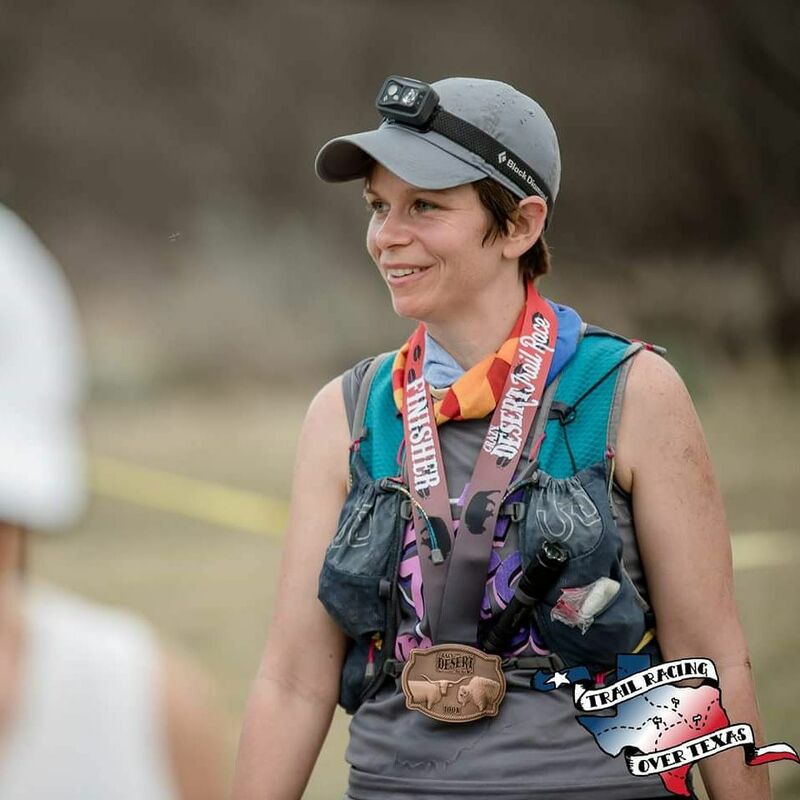 I find a lot of the personality characteristics that it takes to be an ultrarunner work very well for me as a nurse…looking at gross feet, dealing with bodily functions, and just having the ability to just laugh at the ridiculousness of situations you end up in. Mint Chocolate Chip. It is the ONLY flavor. One of my friends told me a few months ago that she admires that I always “make the payments”. I am not a “fake it until you make it” kind of person. If a challenge requires a certain amount of training or hard work I get the work done and show up prepared for the challenge. 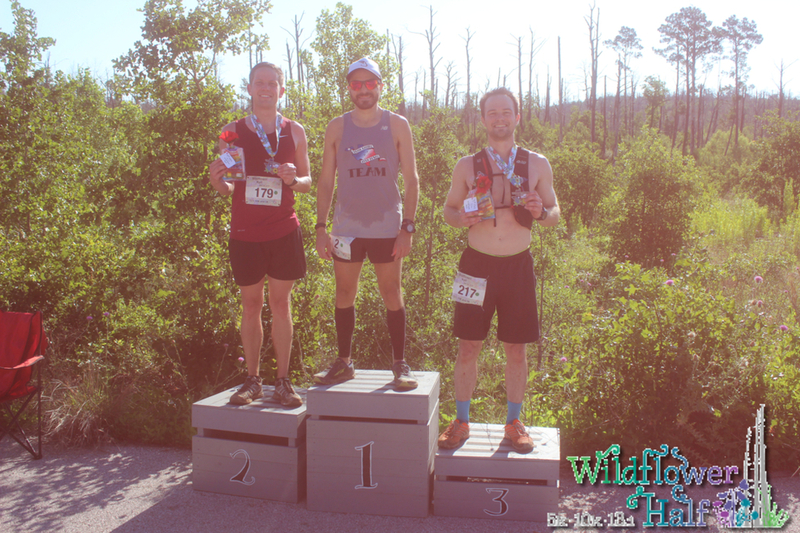 Our ambassador of the week is fresh off of his 2nd place finish at the Jailbreak 5k in Baytown last week! 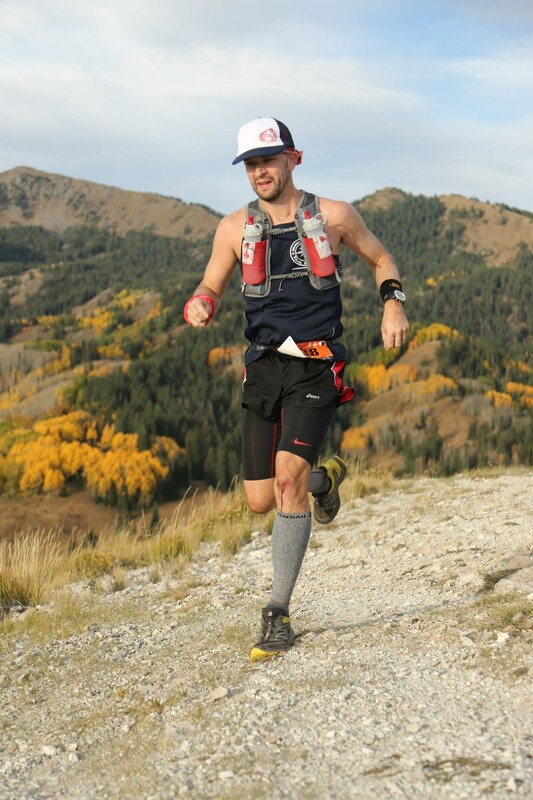 Aaron McCreery is a fast AF runner who known to sport a serious beard during the race season. 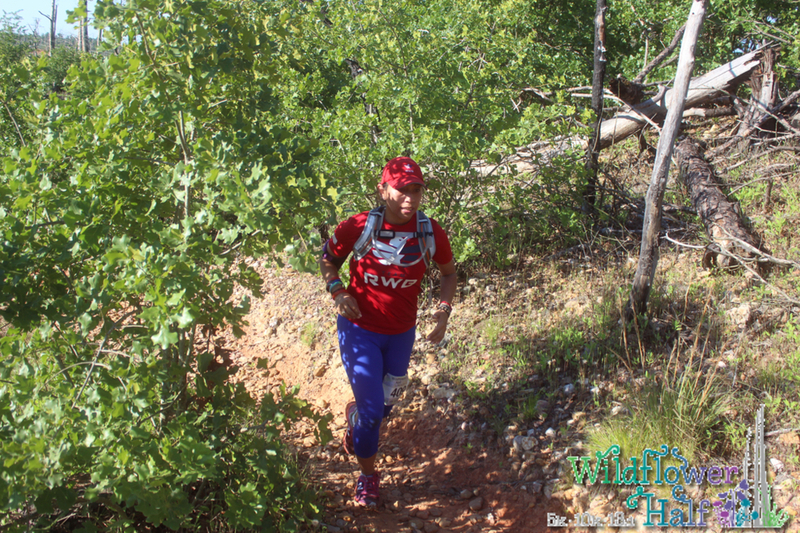 As a new TROT and NFP Ambassador, Aaron knows how to represent the true spirit of Texas trail racing while looking sharp on the course. I very proficient at harassing my wife in every way imaginable. I lived on a skateboard as a teenager and managed to fracture my skull grinding a bench in a K-Mart parking lot. I’m reading Running Man by Charlie Engle. Ugh, so hard to choose… Probably something by Janes Addiction or The Growlers. 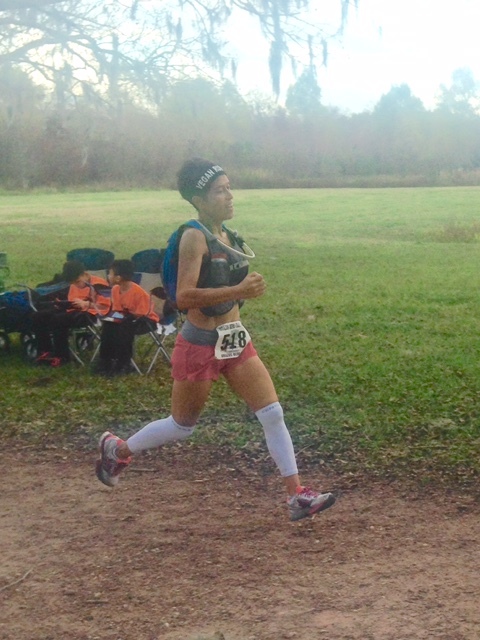 My proudest running accomplishment came at Brazos Bend 50 mile race in December. I’d never run over 35 miles before that race so I was really happy with a sub 8hr (7:59:59) 8th place finish. My stubbornness, when I focus on something I don’t give up. 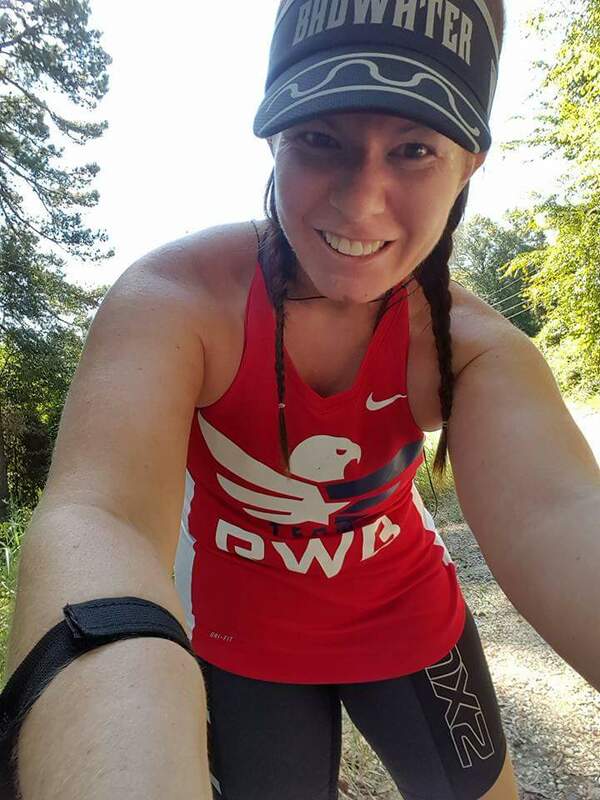 Let’s give a big TROT welcome to new ambassador Jenn Kirpatrick! Jenn is a CERTIFIED BADASS as she completed her first IRONMAN 70.3, qualified for Boston, and crushed her first 50k, 50 mile, and 100 mile race in 2017. 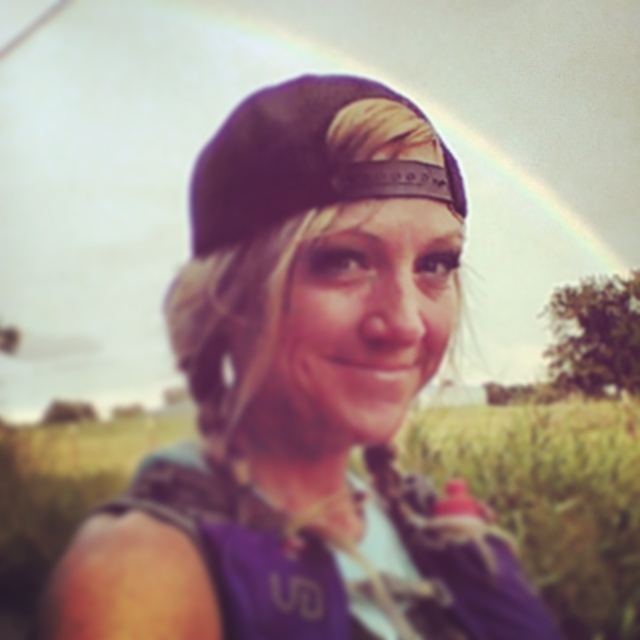 Jenn runs with the Renegade Endurance Club, and she will be pacing at Running the Rose this weekend. I am an obsessive packer, as far as ultras go. Now, I feel this is a very useful talent, but my teammates are merciless in making fun of me for all the stuff I bring. Non-running: I tried to do a flip on rings on a swing set once, and ended up knocking off a piece of bone from the ball of my foot. It’s still floating around in there, I’ve been told. I’ve been reading the book, No Meat Athlete and that is giving me a lot to think about. Favorite time of day to run Middle of the night. There’s something magical about it. What accomplishment are you most proud of? 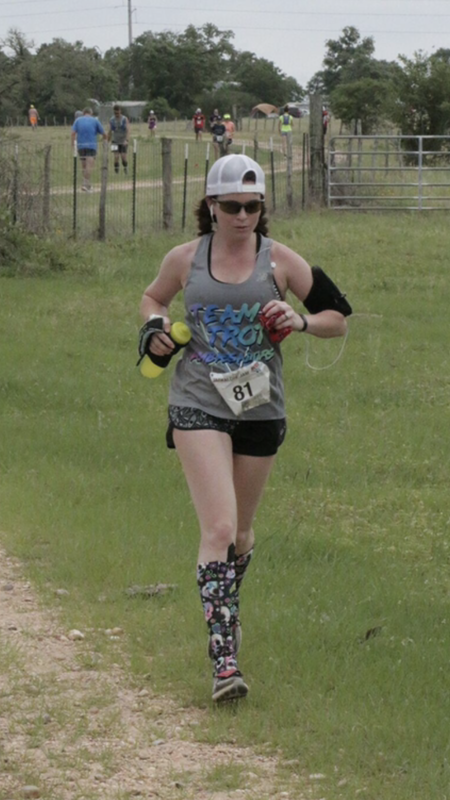 My 100 mile finish at Brazos Bend, for sure. But it was the whole package – the race was just the victory lap. The real transformation happened during training. Pure awesomeness!! Isn’t the real question “What is your favorite Blizzard?” In that case, M&M. What trait do you like most about yourself? My ability to stay calm and think in stressful situations. It’s extremely helpful when you are managing unexpected hurdles during a race, but even more so when, let’s say, someone steals your wallet & car keys at a volleyball tournament and you’re 200 miles away from home.